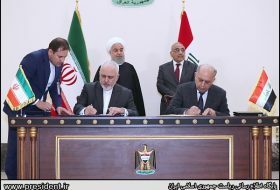 September 23, The Iran Project – New ambassadors of Belgium, Netherlands, Qatar meet Zarif; Amano reiterates Iran’s compliance with JCPOA; head of the Atomic Energy Organization of Iran, Ali Akbar Salehi attends IAEA General Conference; Iran says U.S. pullout from nuclear deal threatens regional peace; Iran FM opens gallery of Iran-Iraq war documents; Iran after building small and medium-sized reactors; American activist Medea Benjamin challenges speaker of think tank on Iran; Muslims mark Ashura in commemoration of Imam Hussein (AS) martyrdom; IRGC, Army Forces joint military drill kicks off in Persian Gulf; ICJ to issue Order on Iran’s lawsuit against US on Oct. 03; Armed Forces begin parade in Pres. 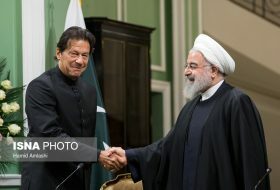 Rouhani’s presence; Several casualties in terror attack on military parade in Ahvaz; Latest defensive achievements of Iranian Army unveiled and President Rouhani heads to New York for 73rd UNGA session are among major headlines dominated the country’s media outlets in the past week ( September 17– September 23). The first night of mourning ceremony on the martyrdom of Imam Hussain was held in presence of Ayatollah Khamenei at Imam Khomeini’s Hosseinieh. Senior Adviser to Iranian Leader, Ali Akbar Velayati, said on Sat. 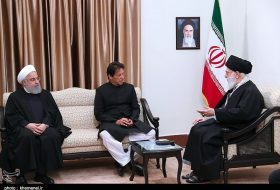 that Russian President Vladimir Putin attaches great deal of importance to the Leader of the Islamic Revolution and his viewpoints. Iran is implementing its nuclear-related commitments under the JCPOA said IAEA Director General Yukiya Amano on Monday. 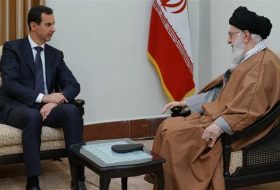 Iran has always supported the Muslims in the world, said the spokesman of the Iranian Foreign Ministry on Monday. 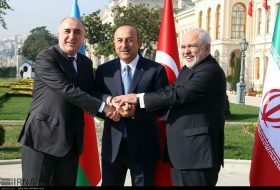 Iranian Foreign Minister Mohammad Javad Zarif said Tuesday that thanks to the meetings and negotiations held in recent weeks, including the meeting of the Russian and Turkish leaders in Sochi, the war in the Syrian province of Idlib was prevented. Iranian Foreign Minister Zarif said that his meetings with US former Secretary of State John Kerry has been public, pre-scheduled and announced. Head of Atomic Energy Organization of Iran, Ali Akbar Salehi, in a meeting with Director of the China Atomic Energy Authority (CAEA) Zhang Kejian emphasized cooperation on the construction of small and medium-sixed reactors in Iran. US peace activist Medea Benjamin on Wednesday protested to Washington’s warmongering policies against Iran after a speech by head of US think tank Brian Hook. 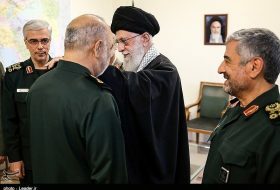 The Armed Forces of the Islamic Republic of Iran marked the beginning of the Sacred Defense Week by military parades in President Rouhani’s presence. 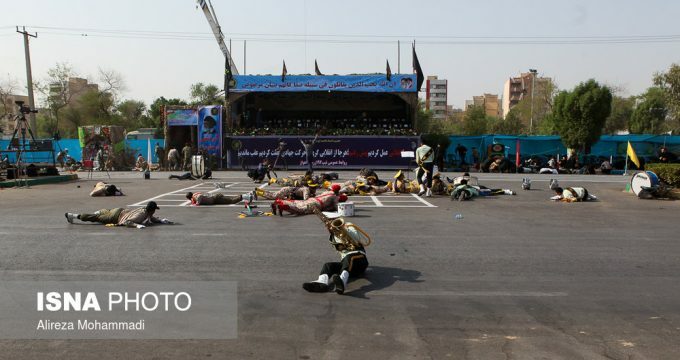 Three people were killed and at least 20 people others injured in a terrorist attack on a military parade in Iran’s southern city of Ahvaz on Saturday, a provincial governor said. The Islamic Republic Armed Forces and Khatam ul-Anbiya airbase unveiled their latest defensive achievements on September 22 in a parade to mark the 38th anniversary of the beginning of the country’s eight years of war imposed by the Ba’ath regime of Iraq. President Hassan Rouhani left Tehran for New York on Sunday morning to attend the 73rd session of the United Nations General Assembly (UNGA) annual meetings. There will be consequences as a result of the United States’ sanctions on Iran’s oil industry which are due to be re-imposed in November, Russian Energy Minister Alexander Novak has said. Iran said it will veto any OPEC decision that harms the Islamic Republic and warned that some oil producers are trying to create an alternative suppliers’ forum that supports U.S. policies hostile to the government in Tehran. Carmaker Volkswagen AG (VOWG_p.DE) rejected on Thursday a report suggesting it had decided against doing business in Iran after coming under pressure from Donald Trump’s ambassador to Germany, saying its position on the country had not changed. The Central Bank of Iran (CBI) has eased currency rules and ordered the customs to allow merchants to bring foreign currency banknotes or gold into the country in a bid to curb further depreciation of the rial. The leaders of Turkey and Russia say they have agreed to create a demilitarized buffer zone to separate Syrian government troops from Takfiri militant groups in the northwestern province of Idlib, as Ankara seeks to prevent a full-scale operation by the Damascus government against thousands of terrorists in the militant-held region. 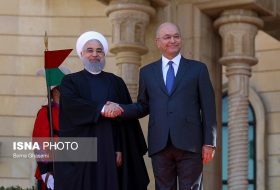 In a meeting on Monday, Iranian Ambassador to Baghdad Iraj Masjedi and Iraqi Prime Minister Haidar al-Abadi’s Advisor Walid al-Helli both condemned the last week attack on Iran’s consulate general in Basra. Israeli Prime Minister Benjamin Netanyahu was expected to speak with Russian President Vladimir Putin, an Israeli diplomatic source said on Tuesday, following the downing of a Russian plane over Syria. As many as nine people, including seven children, died from cholera in Yemen, according to Youssef Hadiri, the spokesman for the Health Ministry in Sana’a. 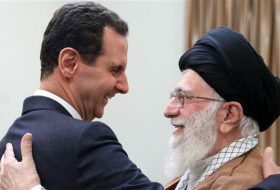 Hezbollah’s leader has warned Israel of a fate it “has never expected” if it chooses to wage a new war, reminding the regime that the Lebanese resistance movement is now in possession of precision rockets to Tel Aviv’s dismay. Iran’s Forests, Range and Watershed Management Organization has received a fund of $200 million from the National Development Fund of Iran, an official with the FRWMO said. A passenger bus crashed in Iran’s central province of Isfahan, killing 21 people and injuring more than 20 others. Millions of Muslim mourners begin the processions shortly after the sunrise on the Day of Tasu’a (the ninth day of the lunar month of Muharram) and the following day which is Ashura, lining up in coordinated and orderly bands of passion plays and recitations of elegies which will continue until the evening. President Hassan Rouhani in a symbolic gesture rang the bell at a girls’ high school in downtown Tehran on Sunday to mark the first day of school year in Iran.